#CONSUMER: "Report: touch panels grow 30 percent y/y"
Top five out of 32 touch screen suppliers of the 6.3 million modules shipped in the first half of 2010, which will grow to 20 million in second half, according to DisplaySearch. 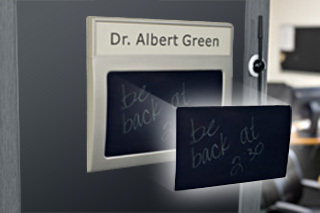 Boosted in recent years by smartphones, and in 2010 by the iPad and the legions of copycats piggybacking on Apple's success, touchscreens are also soaring in mini-notebooks an in novel new form-factors, such as the enTourage Pocket eDGe which features both an LCD touchscreen and and E-Ink reflective display. 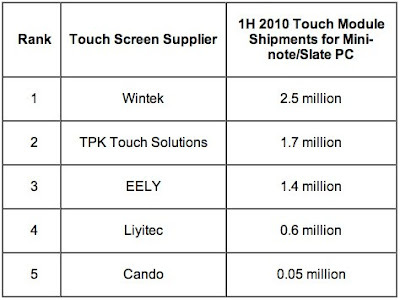 Taiwan touchscreen suppliers lay claim to the lion's share--43.5 percent in 2009--especially in advanced capacitive, as opposed to resistive, touchscreens. 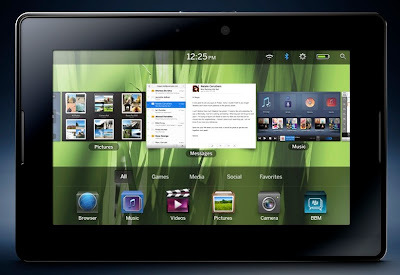 China however is nipping at Taiwan's tail, with forecasted shipments increasing 39 percent in 2010, mostly for legacy resistive touchscreens. Both U.S. and European manufacturers are also reporting record-high shipments in 2010, but Japanese touchscreen suppliers, on the other hand, are reporting flat growth in 2010 due to the strength of the Yen, according to DisplaySearch. #MEMS: "Automotive MEMS hits record high"
Recovery in the automotive MEMS market is complete as 2010 marks a new high point for worldwide shipments. 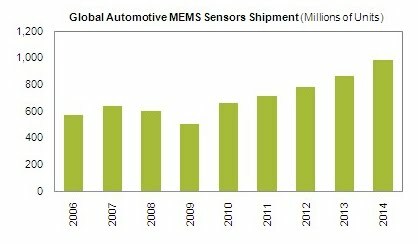 Automotive MEMS chip sales rebounded to a new high in 2010, 662.3 million units, surpassing the previous high mark in 2007 of 640 million units, according to a market researcher, according to iSuppli (El Segundo, Calif.) Recession-depleted inventories were replenished in 2010, prompting record growth of 32.1 percent, up from 501 million units in 2009. Growth is expected to continue at a more sustainable rate of 7.4 percent in 2011, but will reach double-digit gains again by 2014. 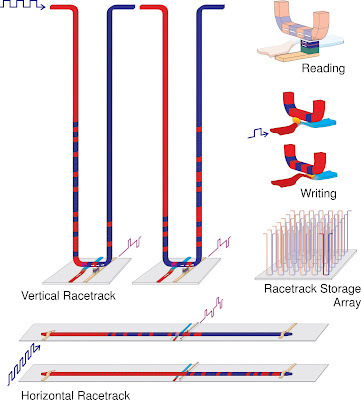 #CHIPS: "IBM 'racetrack' memory enters home stretch"
IBM 's racetrack memory moves magnetic domains along a nanowire where they "race" around the "track." 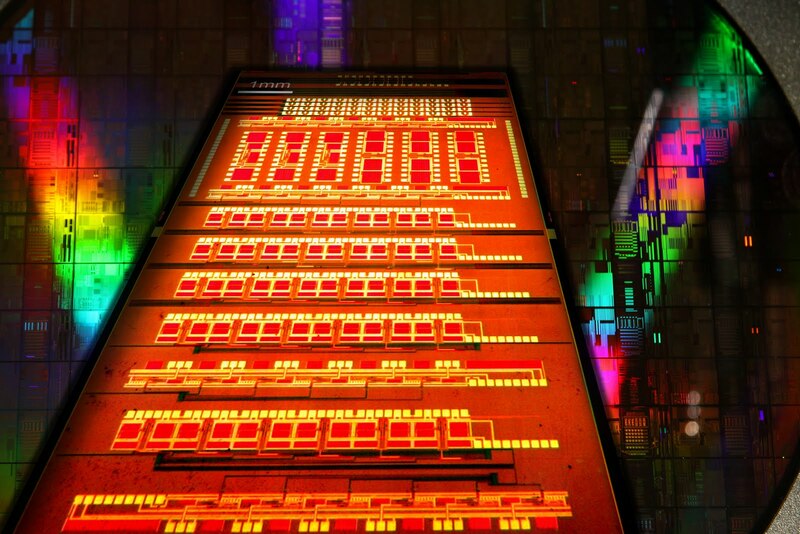 IBM plans to embed billions of nanowires into silicon chips to store hundreds of times more information on a chip than even the densest disk drives hold today. 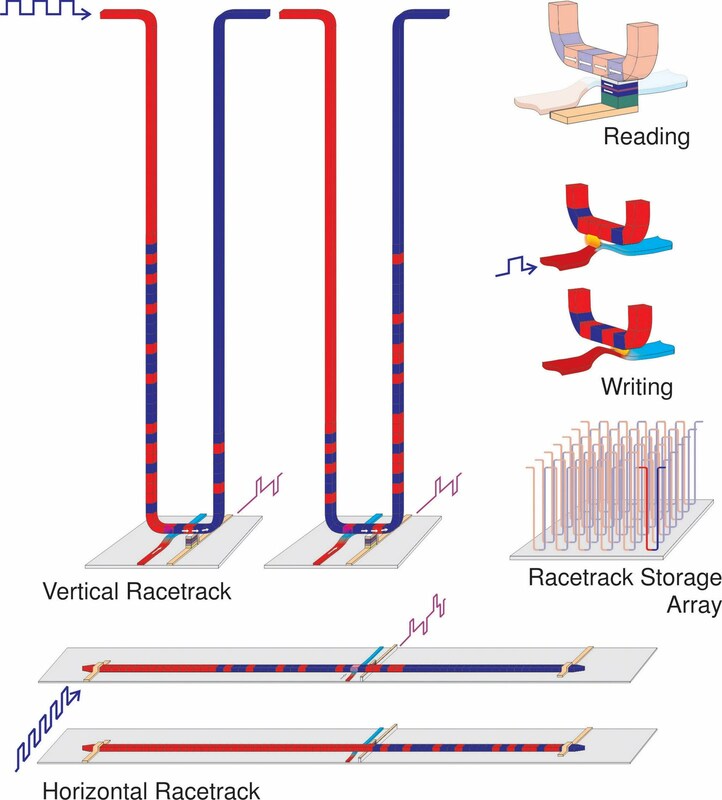 Here is what my story in EETimes says about racetrack memories: The odd thing about magnetic spin is that it does not displace atoms, allowing walled domains on hard disks to switch between "1" and "0" without the fatigue mechanisms that eventually wear-out flash bit cells. 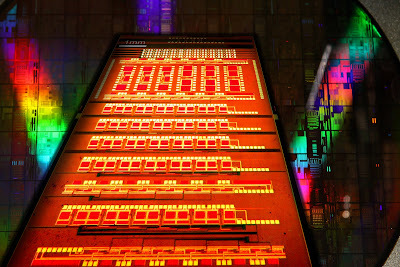 Unfortunately, solid-state nonvolatile memories like flash, ferroelectric and even experimental resistive RAMs have limited lifetimes, according to IBM, which claims its racetrack memory combines the advantages of solid-state memories with the access mechanism of a hard disk drive. #ENERGY: "Thermoelectrics could harvest car exhaust heat"
The conversion of energy between light and electricity (LEDs/solar cells) and between light and heat (light bulb/greenhouse) is complemented by thermoelectric conversion between electricity and heat. 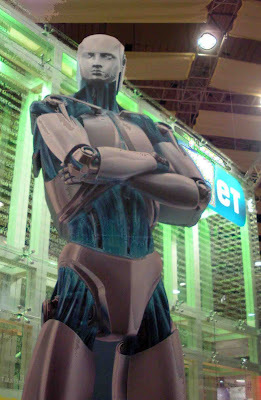 #MATERIALS: "Rare earth scarcity gauged by DoE"
Eset superhero prepares to vanquish malicious malware where ever it might lurk! 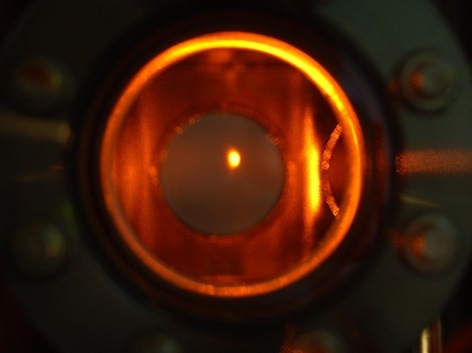 #QUANTUM: "Spintronics aims for atomic memories"
A phosphorus-doped one millimeter square silicon chip demonstrate how data can be stored in magnetic "spins" on the nuclei of phosphorus atoms. The research team, led by professor Christoph Boehme, demonstrated how it's done by reading and writing spin onto phosphorus atoms in a silicon substrate, achieving a refresh time of 112 seconds—thousands of times longer than memories storing information on electron spin. To prove that atomic nuclei store spins more reliably than electrons, the Boehme group's experimental demonstration used a phosphorus-doped silicon chip measuring just 1 millimeter square. After supercooling the material to 3.2 degrees Kelvin, an intense magnetic field of nearly 8.6 Tesla aligned the spins of the phosphorus atom's electrons, which was then transferred to the nuclei by FM-band radio waves. 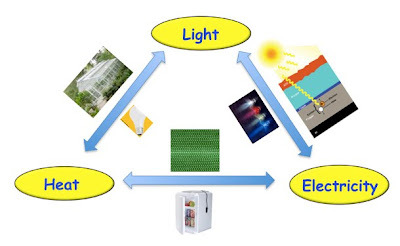 #MATERIALS: "Spintronics aims for atomic memories"
#NANOTECH: "NIST launches $44M technology program"
Kent Displays received $3 million develop a suite of integrated processes for efficient, "roll-to-roll" manufacturing of flexible, reflective displays for high-volume product markets. 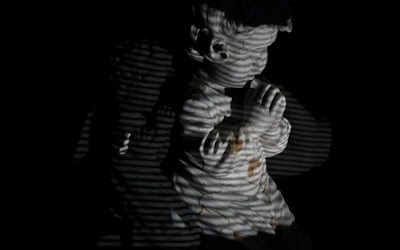 #3D: "Optical metrology measures in 3D"
Here Seikowave is creating a 3D model of a complex object using structured Light Illumination. SLI uses TI's digital light processor (DLP) to project stripes of light onto 3D objects and scenes then measures the distortion to determine shape. 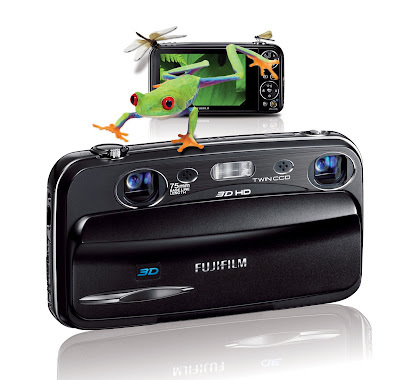 #WIRELESS: "Mobile 3-D to drive user acceptance"
million units by 2014, according to In-Stat. 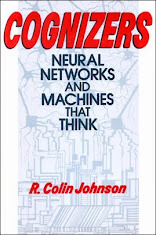 #ALGORITHMS: "Augmented reality: Geotagging the real world"
Augmented reality (AR)--the overlay of information on live images via a device display--has already been proved in military applications such as heads-up windscreen displays in fighter aircraft. 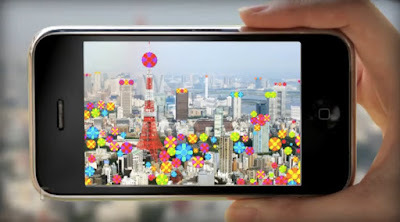 Look for augmented reality to go mainstream in 2011 with 3D-social-networking becoming AR's killer app. 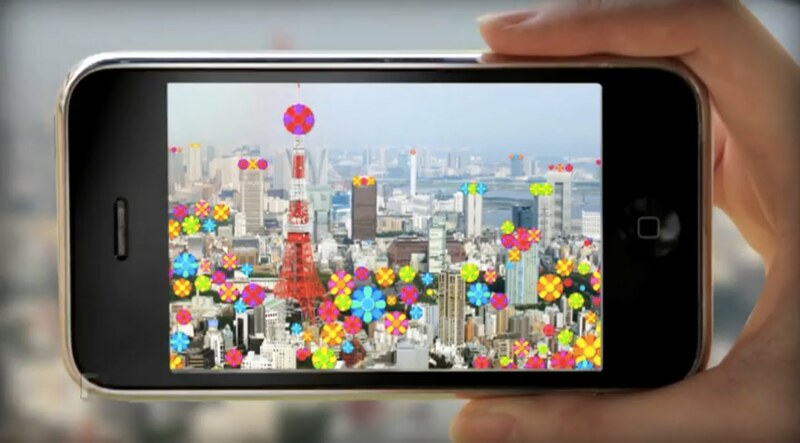 Viewing Tokyo's skyline with Sekai Camera reveals hundreds of user-supplied geo-tags highlighting points of interest in the style of social-media. 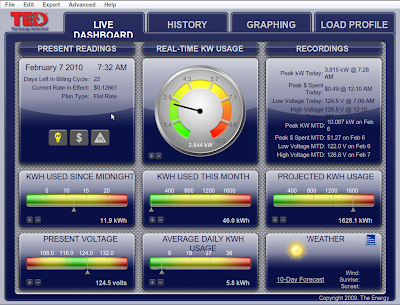 #ENERGY: "Personal power management puts you in charge"
Google PowerMeter and The Energy Detective (TED) is all you need to monitor energy usage with your computer or mobile device. #CONSUMER: "Touchscreen tabs advance 'consume only' model"
RIM's Blackberry PlayBook is banking the superior security that Blackberry phones have over the iPhone. Tethering their iPad-like PlayBook to a Blackberry phone allows RIM users to keep pace with Apple without sacrificing security. 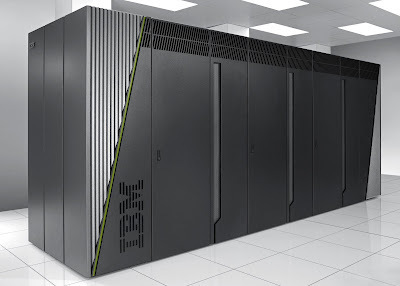 #CHIPS: "Three Reasons IBM Keeps Winning the Green500"
IBM's Blue Gene/Q (pictured) houses thousands of processors in racks that are connected by high-speed optical interconnects to achieve peta-flops of performance. (Source: IBM). Here is what Smarter Technology says about green supercomputers: The supercomputers of the world are not just competing on raw speed, but also in Green500, whose official metric is floating-point operations per second per watt of energy consumed (flops/watt). For instance, this year's winner—the IBM Blue Gene/Q—achieved 1,684 Mflops/watt, compared with the second-ranked system by HP, which used Intel's Xeon processors to deliver 948.29 Mflops/watt, making the Blue Gene/Q 77 percent more energy-efficient. Still in the prototype stage, when completed next year, the Blue Gene/Q is expected to top 20 peta-flops, making it 10 times faster than this year's winner of the Top500 list—giving the Blue Gene/Q a shot at topping both the Top500 and Green500 lists in 2011. #MATERIALS: "Metamaterials could camouflage ships"
In previous research, Rice researcher Naomi Halas made light bending nanocups from colloidal particles on glass capped by an elastomer that is lifted off after curing. 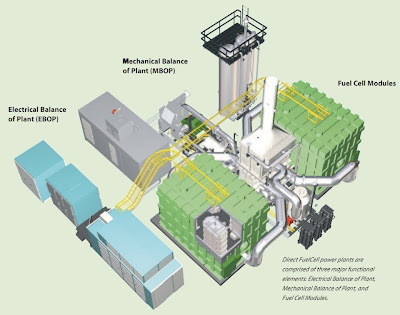 #ENERGY: "Fuel Cells Provide Campus Power"
Direct FuelCell power plants comprise three major functional elements: Electrical Balance of Plant, Mechanical Balance of Plant and Fuel Cell Modules (source: FuelCell Energy). #SECURITY: "3 Reasons Clouds Prevent Cyber-Attacks"
Cloud-based Amazon Web Services (AWS) bring on servers to match the users accessing a Website, thereby thwarting attacks. Recent cyber-attacks have demonstrated that cloud computers can handle distributed denial-of-service (DDoS) attacks that crash traditional servers—for instance, when WikiLeaks briefly hosted on Amazon Web Services (AWS) for its latest disclosures. What is it about cloud computers that make them immune to cyber-attacks? The three main ingredients in cloud computers that make them more resilient against cyber-attacks are elasticity, bandwidth and redundancy. 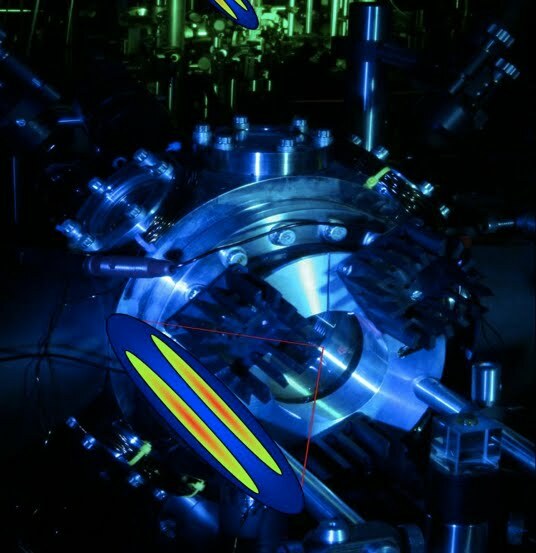 #MEMS: "Micro-Mirrors to Enable Quantum Computing"
Ultracold cloud of atoms used to store quantum qubits in the laboratory of Mark Saffman's group at University of Wisconsin-Madison. Here is what my EETimes story says about quantum MEMS: Semiconductor memories today need bit-lines to address them before reading or writing, but according to Duke University and the University of Wisconsin-Madison, qubits can be likewise addressed with two lasers focused on them by MEMS micro-mirrors. #DISPLAYS: "IT Kiosks Ride Touch-Screen Wave"
The NextWindow 1900 Series Touch Screen installed on the HP TouchSmart All-In-One PC turns it into a giant touch-screen tablet. 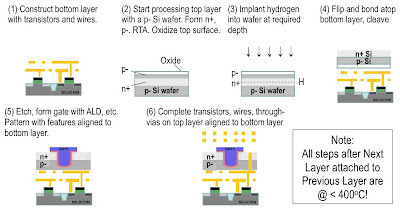 #3D: "Startup hawks monolithic 3-D chips"
The simplest way to create 3-D chips is to fabricate the bottom chip as usual, cover it with oxide, then bond it to a similarly oxide clad giant-transistor donar chip, which can then be etched into individual transistors. 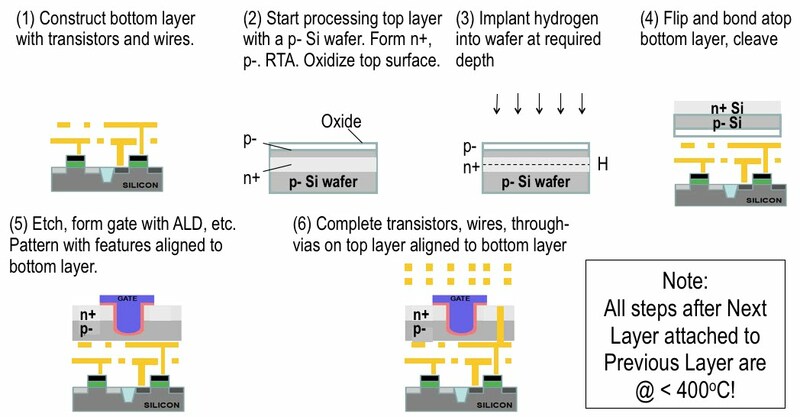 According to Or-Bach, NuPGA's 3-D IC fabrication techniques can be used to stack memory on top of a processor, to stack bit-wide memory chips into byte-wide configurations or just to shrink the die of existing designs by optimizing chip area versus height. 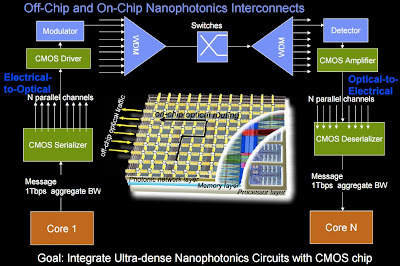 Any number of chip layers can be composed, according to Or-Bach, enabling general-purpose monolithic 3-D to reduce chip areas by as much as three times over conventional 2-D.
#OPTICAL: "Optical Fibers Boost Speed, Cut Weight and Power of Computers"
IBM's CMOS Integrated Silicon Nanophotonics technology includes all the optical components needed to convert electricity to light and back again, including modulators, wave division multiplexers (WDM) and detectors (Source: IBM). 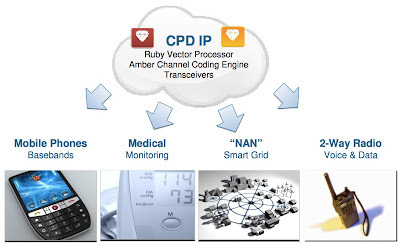 #WIRELESS: "Freescale aims baseband/RF SoCs at two-way radio"
Freescale's Ruby vector processors, Amber channel coding and RF transcievers enable the Cellular Product Division (CPD) to leverage its intellectual property (IP) for two-way radio, wireless medical monitoring, smart meters and software-configurable multi-mode cellular basebands. #QUANTUM: "Internet to Communicate by Entanglement"
Massive hardware cools and isolates the nodes of Caltech's seminal quantum network (source: Nara Cavalcanti). 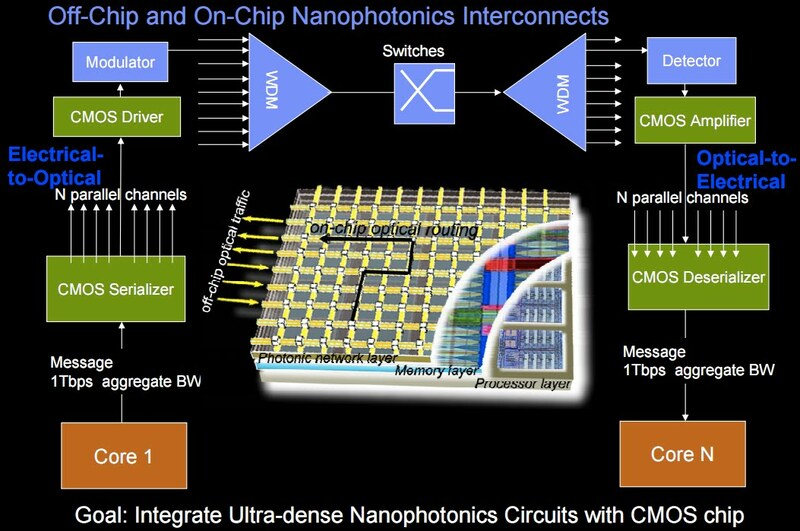 #CHIPS: "IBM debuts CMOS silicon nanophotonics"
IBM's all silicon optical transceivers house modulators, wave guides, wavelength-division multiplexers, switches and detectors all cast the same CMOS die.